We are currently seeking single location and multi-location sites. Join the nutritional pet food revolution and a Grade “A” rated franchise! Do you have an existing pet food store or pet supply store? 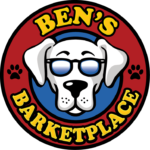 If so, have you thought about converting to a Ben’s Barketplace? What if we had a way to take the skills and expertise you already possess and merge it with a proven system & process that helps you grow your business? Let’s have a discussion today! Ben’s Barketplace is a Made The Grade™ franchise, which means it’s ranked highly by franchisegrade.com analysts!